Who knew that a humble guitarist from Suffolk, England could receive over 50 million worldwide Spotify streams in one day? That’s the magic of Ed Sheeran. Ed is a force to be reckoned with and is the one lone artist you didn’t see coming. His brand has captivated new global audiences, setting records in the online world of music streaming. So, how did this independent artist go from being a no-name to going up against some of the biggest musicians in the industry, shattering world records? It’s all in the marketing. Music marketing is a unique, ever-changing puzzle that is rooted in the persona of an artist. Despite all of his success, Ed Sheeran’s appeal comes from his humble beginnings. He was raised in a town of fewer than 5,000 people and sang in a church choir as a kid. Today, Ed has gone on to receive international success. At 26 years old, he self-funded and self-released five EPs before getting signed with Atlantic Records for $20,000. While this leap helped him reach worldwide fame, his small-town appeal created a strong, foundational fan base that has catapulted him into a realm all of his own. Sheeran’s loyal fan base was created through successful online marketing. Many other music brands have learned to leverage the power of social media sharing through platforms like YouTube, Twitter, and Snapchat. For Ed Sheeran, this was a fundamental piece of his strategy. At the beginning of his career, Sheeran released all his music for free while other artists believed file sharing would ruin their success. Today, Ed Sheeran receives more streams on Spotify than any other artist. On YouTube, his new ÷ (Divide) album has received over one billion views, a record few artists have been able to achieve this early in their career. But, this type of success didn’t happen overnight. The strategy of releasing Sheeran’s album ÷ (Divide) goes back to 2014, where Sheeran used the power of social media to get the word out about his sophomore album x (Multiply). Instead of using traditional marketing, for instance, Sheeran released posts like this on his social media accounts with titles of his albums’ tracks. To promote the release of his popular single “Thinking Out Loud,” he included a teaser video on Twitter, followed by a brief clip on Snapchat. The result was hundreds of thousands of online shares and built-up anticipation that translated to record-breaking sales. This all was possible through powerful, creative online marketing. Sheeran used the same techniques with his recent release of ÷ (Divide). Again, using Twitter and Snapchat, where over 100 million daily users interact, he promoted brief mentions of singles that were about to drop. He also included brief snippets of his top singles “Shape of You” and “Castle on the Hill,” releasing them simultaneously. As of April 7, “Shape of You” is still number one on the Billboard Hot 100, after twelve consecutive weeks on the charts. It has also been streamed over 600 million times on Spotify. Overall, “Shape of You” is the first song to top the Hot 100 for more than ten weeks. The only other recent song to reach that mark is “Closer” by the Chainsmokers, which topped the charts for twelve weeks in 2016. Still, the real heart of Ed Sheeran’s success is his fanbase. Sheeran genuinely relates to his audience. In response, his fans have overwhelmingly embraced his story and humble approach to music. Sheeran makes sure to have a personal connection with his fans. When he performs, it’s just him, a guitar, and a room full of people who are eager to listen to his words. While you may not be a musician, you can learn from Ed’s marketing approach. He always makes sure to stay true to his roots, cut out the frills, and play solid music that his fans connect with. This is part of knowing your audience. To reach his audience, he knew where to find them – on social media. And true to his brand, he has a simple, direct approach on how to promote his music and make it accessible for all. By authentically promoting his brand through online mediums, Sheeran hasn’t needed to resort to outlandish marketing tactics to get his fans’ attention – we’re already paying attention. 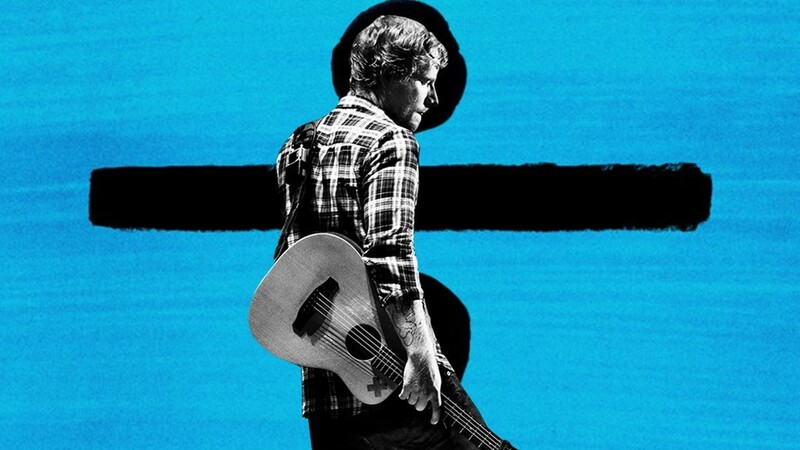 Seth Godin once said, “Marketing is the act of telling stories, about the things we make – stories that sell and stories that spread.” Sheeran’s marketing methods prove to be incredibly effective. He is currently the most streamed artist on Spotify, and is continuing to grow. Anyone who has risen to the top has something to teach us. Through brand authenticity and creative marketing strategies, Sheeran is proof that you can be yourself in a competitive world and still be successful.